Why is it when someone says you can't do something, the desire to do it magnifies by a billion? Like, when you have a scheduled surgery and can't eat for 24 hours? I feel like I'm dying at the 2 hour mark. But on a normal day, I can easily skip meals without a second thought. It's ridiculous how the mind works sometimes. If you follow my Instastories, you know that I had to fast in May and again earlier this month for a few minor surgeries I had to have done. When that happens, I usually plan dinners ahead and make sure I put something on the menu for the family that I normally wouldn't eat. 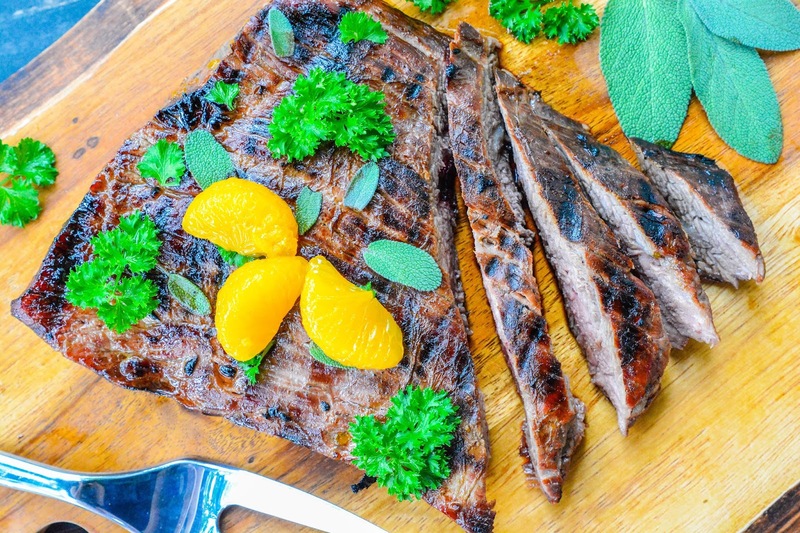 My family loves steak, so on my last round of fasting, I thought I'd treat them all to this Marinated Flank Steak from Golden Blossom Honey. I don't know if it's because they don't get steak often or what, but the family devoured their portions in no time. For me, I love grilling season because it means I can just fire up the grill and have dinner done in a snap. No pots and pans to scrub, no stove to clean. And best of all, the house doesn't get hot from oven heat. 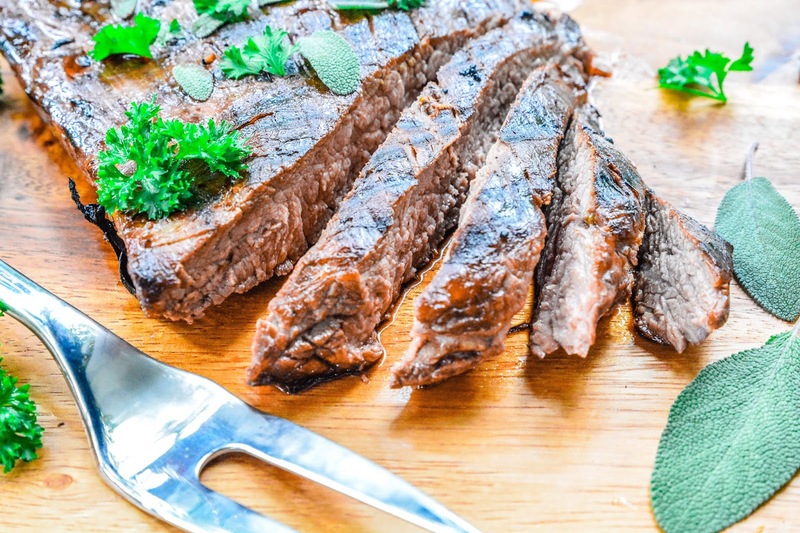 Short of marinating time, you can have this flank steak on the table in about 10 minutes. Toss a few ears of corn on the grill and set out a side salad, and you've got the most perfect summertime meal. Since I'm not going to be able to respond to comments until the end of the month, I am switching my commenting system off for this week's and next week's posts.